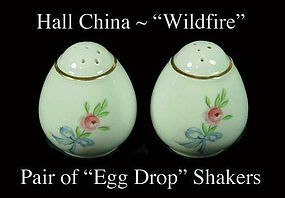 This pair of od Hall China WIldfire Shakers are in excellent condition! We have 1 pair available for $20.00 + shipping. 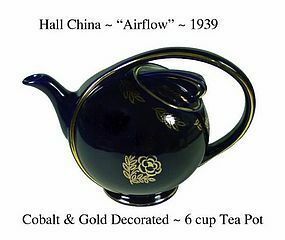 This is one of the nicest, cleanest Hall China Air Flow tea pots we've seen! Extremely good condition, and double signed with the round Hall circle mark, and the Hall Gold Decorator mark. 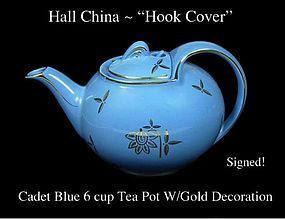 The tea pot is cobalt with gold decoration. The photo makes the color look black, but it is cobalt blue. 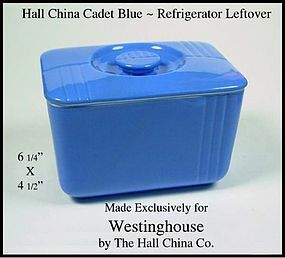 This Cadet Blue 6 cup Hook Cover tea pot was made by The Hall China Co. It is gold decorated and in excellent condition! 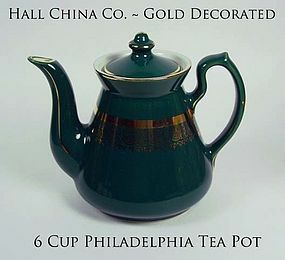 This Philadelphia design "Philly" tea pot pot was made by The Hall China Co. and sold through various stores and vendors. It has gold decoration on it, and is in excellent condition. The bottom is signed 3 different ways. 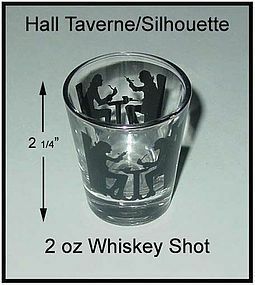 It has the HALL name impressed in the bottom. It also has the Hall round circle mark, and the Hall Gold Decorator mark with the numbers, 080X also. 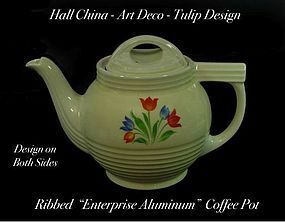 This ribbed art deco design "Tulips" coffee pot was made by The Hall China Co. and sold through various stores and vendors It is in excellent condition, and the bottom is signed Enterprise Aluminum - Drip-O-Lator . The pattern was put on both sides of this attractive pot. 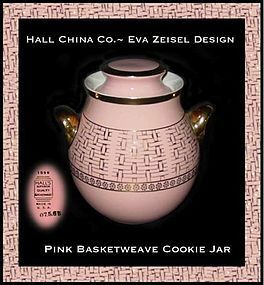 This ribbed art deco design "Jerry" coffee pot was made by The Hall China Co. and sold through various stores and vendors. It has the very desirable "Floral and Lattice" decoration on it, and is in excellent condition. There is a tiny "no show" breakaway bruise on the edge of the inner rim neck of the lid only, but it is small. The bottom is signed Enterprise Aluminum - Drip-O-Lator . The pattern was put on both sides of this attractive pot. 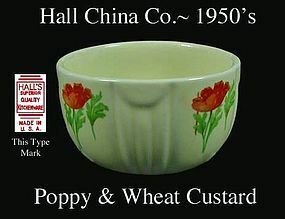 This Poppy & Wheat, or Wild Poppy custard cup was made by the Hall China Co. in the 1950's. It is signed with the HSQK mark in gold on the bottom and is in excellent condition. No damage or flaws of any kind. 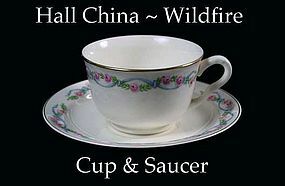 These Wildfire cups and saucers were made by The Hall China Co. in the 1950's. They are in excellent condition! 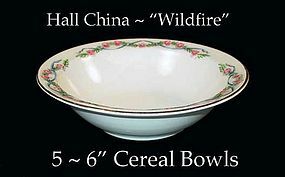 These 5 Wildfire 6" cereal bowls all but 1 have chips on the backside of the top rim. The gold trim is good and there are no chips or scratches in the "food" area. 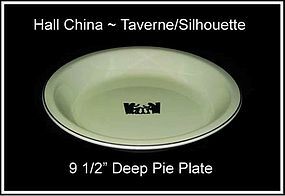 These bowls are very hard to find and were made by The Hall China Co. in the 1950's. They are signed on the bottom: The Great American Tea Co. -100th Anniversary. You can use, or display these until you find some mint ones. You would be pleased with these bowls for the price. 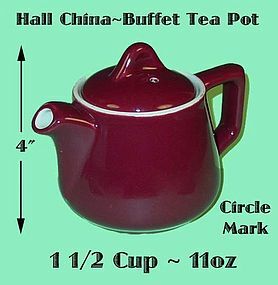 Hall China 1 1/2 Cup Buffet 11 oz Tea Pot - Small! This 1 1/2 cup Buffet Tea Pot holds 11 oz and was made by the Hall China Co. 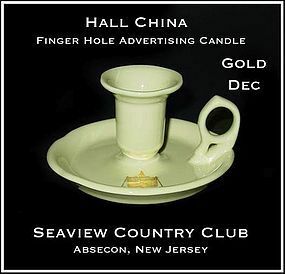 It is in excellent condition and has the Hall Circle Mark on the bottom. The color is maroon. $8.00 each ~ 6 available-Sold as a Set Only! 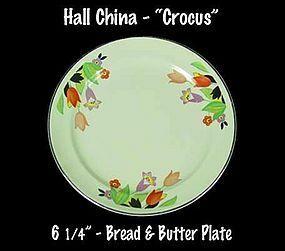 This Crocus 6" bread and butter plate was made by the Hall China Co. and sold by The Jewel Tea Co. from their weekly delivery trucks to neighborhood homes Very bright and shiny pattern. Signed on the back. 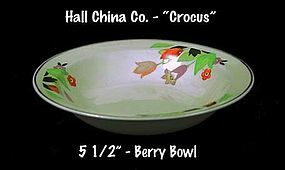 This Crocus pattern berry bowl was made by The Hall China Co. for Jewel Tea to be sold from their weekly delivery trucks. Very bright and shiny pattern. 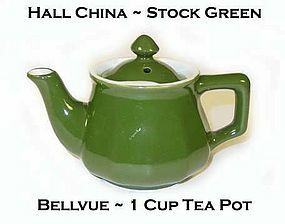 This 1 cup Bellvue tea pot was made by Hall China. It is stock green in color and has a couple of tiny scratches...no chips. The lid locks down for serving.